Providing Comprehensive Occupational, Physical and Speech and Language Evaluations and Therapy Services for Children In the Charleston, SC area. 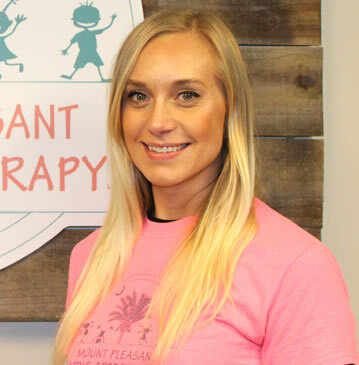 At Mount Pleasant Pediatric Therapy it is our vision to provide therapeutic interventions that maximize your child’s growth and progress. We believe in being an active part of your child’s team and do our best to communicate with other service providers (ABA therapists, psychologists, physicians, etc.). By employing the use of a collaborative approach to treatment, we are able to support your child and family’s goals—across a variety of disciplines and environments—thus creating a complete, cohesive plan of care. Our philosophy is rooted in the strong belief that your child’s development should be at the core of all planned interventions. We believe that your child should be given the opportunity to communicate his or her wants and needs in the most functional way possible, as well as, participate in all activities in their daily life. Every child is an individual; our skilled therapists understand this. They meet each child at his or her level and customize sessions to meet specific needs. When working with your child, our therapists will create a comfortable environment that promotes progress and motivates your child through play. It is our commitment to you and your family to be a source of support in working with your child towards the success of his or her communication, motor, and sensory goals. We promote the carryover of your child’s learned skills, thus encouraging your child to use what he or she has learned in a functional manner in all settings. 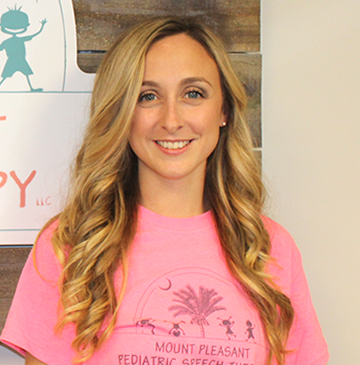 Annmarie is the owner and director of Mount Pleasant Pediatric Speech Therapy, LLC. She received her Master’s Degree in Speech-Language Pathology from Nazareth College of Rochester; located in New York. Annmarie holds a state license to practice Speech-Language Pathology in South Carolina and has earned a Certificate of Clinical Competency (CCC). In addition to this, she is a certified member of the American Speech-Language- Hearing Association (ASHA). Annmarie continues to enroll in ongoing professional development courses in order to maintain certification and proficiency; in order to provide optimal service adhering to standards of best practice. Annmarie is married to her high school sweetheart, Frank, who is a practicing Physical Therapist at Franke at Seaside in Mount Pleasant, SC. When not at work, you can find the two of them having fun with friends and family. Frank often has something delicious cooking or a home improvement project in the works. 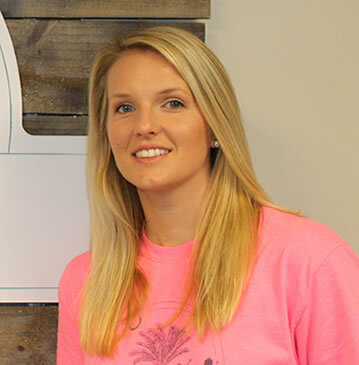 Originally from Connecticut, Stephanie moved to South Carolina to attend the College of Charleston and received her Bachelor of Science degree in 2011. She also holds a Master’s degree in Communication Sciences and Disorders from the University of South Carolina. Stephanie has experience working in public schools and private practice in both South Carolina and Georgia. She particularly enjoys working with children and bilingual families. Her goal is for every child to “find” his or her voice! She holds a license in Speech-Language Pathology in South Carolina and Georgia, and maintains her Certificate of Clinical Competency through the American Speech-Language-Hearing Association. With her spare time she enjoys yoga, running, days at the beach, and enjoying the many restaurants of Charleston with her husband Matt. Corrie grew up in Charleston, SC, received her B.A. in Communication Studies from Clemson University, and earned her Master’s degree in Communication Disorders from the University of South Carolina. She is certified by the South Carolina Board of Examiners in Speech-Language Pathology and holds her Certificate of Clinical Competency through the American Speech-Language-Hearing Association. 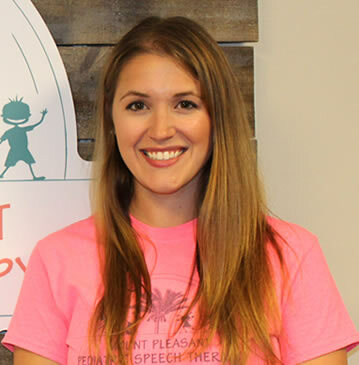 Corrie has participated in continuing education with Nancy R. Kaufman, M.A., CCC-SLP, regarding the Kaufman Speech to Language Protocol and also holds a Professional Educator’s License as a Speech-Language Therapist through the SC State Board of Education. She is passionate about helping children become successful communicators and enjoys working with families to achieve the greatest potential outcome. When she’s not at work, Corrie enjoys being a mom, traveling, hiking, scuba diving, Clemson football, and spending quality time with family, friends, and her dog Sadie. Lexy Hite, M.A., CF-SLP, received her Master’s Degree in Speech Language Pathology from Ohio University in 2018. She received a Bachelor of Arts Degree in Speech and Hearing from Cleveland State University in 2016.Lexy is currently in her Clinical Fellowship Year, which is a mentored professional experience after graduation, working towards her Certificate of Clinical Competency (CCC). She holds a state license to practice Speech-Language Pathology in South Carolina. Lexy chose to work in pediatrics because she loves to see speech and language skills grow just as fast as the children do! If she is not working, you can find Lexy exploring Charleston with her friends. Kelsey Mazur, M.A., CCC-SLP, received her Master’s Degree in Speech-Language Pathology and Audiology from South Carolina State University in 2017. Kelsey holds a state license to practice Speech-Language Pathology in South Carolina and has earned a Certificate of Clinical Competency (CCC). She is a certified member of the American Speech-Language- Hearing Association (ASHA). In addition to this, Kelsey has a Bachelor of Arts Degree from Neumann University in Elementary and Special Education. She has experience in various areas of speech and language, Augmentative and Alternative Communication Devices, and oral motor activities. Kelsey is engaged to her fiancé, Zak, and is planning a wedding in Charleston. When not at work, Kelsey enjoys the beach, trying new restaurants in Charleston, and spending time with friends and her two dogs, Oliver and Molly! Sadie Bradshaw is a registered, licensed Occupational Therapist. She received her Bachelors and Masters Degrees from Milligan College in Johnson City, Tennessee. She also was a Lend Trainee through Vanderbilt University, focusing on leadership in interdisciplinary practice in pediatrics. Sadie has received post-graduate training in Beckman Oral Motor Protocol. 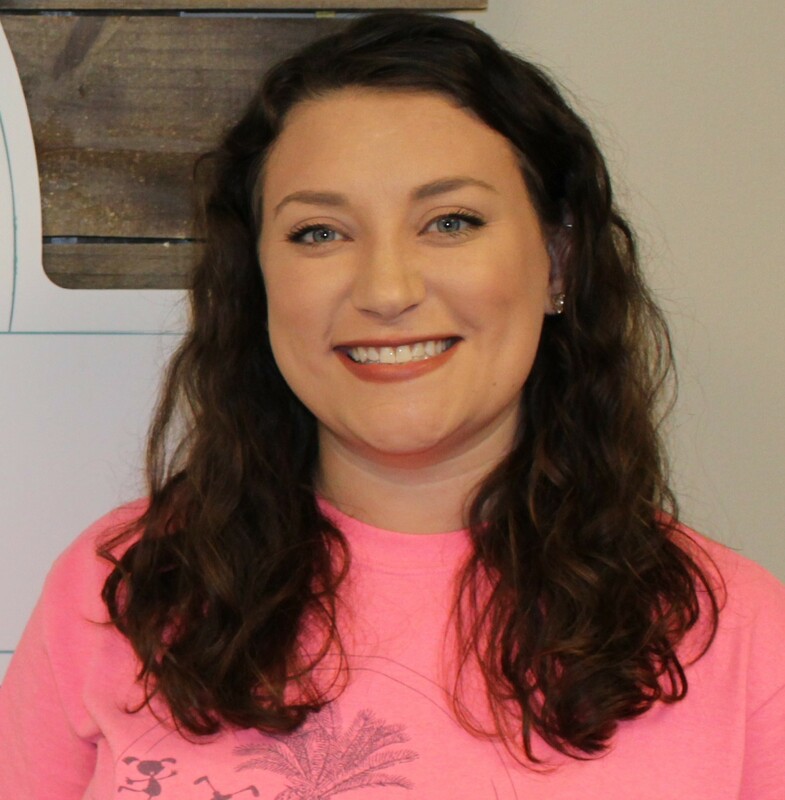 Sadie moved to the Lowcountry in 2018 from Chattanooga, Tennessee. In her spare time she loves exploring and running the beach’s with her dog Charlie, baking and playing/coaching soccer. Terra is originally from Pittsburgh, Pennsylvania and moved to Charleston to trade in the cold and snow for sun and beaches. 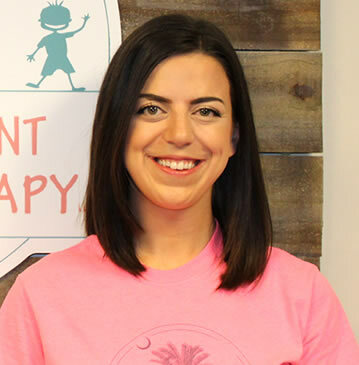 Terra received her Bachelor’s Degree in Rehabilitation Sciences from the University of Pittsburgh in 2010 and her Master of Occupational Therapy in 2012. She is NBCOT certified and licensed by the state of South Carolina. Since moving to the LowCountry, Terra has been providing occupational therapy services to children in a home, daycare, and at an outpatient setting at the clinic and in the pool. Some specialty post-graduation training she has received include Handwriting Without Tears, Sensory Processing, and Interactive Metronome. In her free time she enjoys reading, traveling, cooking, and spending time at the beach. Amanda was raised in Syracuse, NY, but lived in Buffalo, NY for the last 10 years. In May of 2018, Amanda moved south to enjoy much more sunny weather and to ditch the snow brush. She graduated from the University at Buffalo with a Bachelor of Science in Psychology, Bachelor of Science in Occupational Science, and a Master of Science in Occupational Therapy. In her graduate studies, Amanda was the occupational therapy class president, member of the National Occupational Therapy Honor Society, Pi Theta - Tau Chapter, became a member of the Allied Health Professional National Honor Society, Alpha Eta, and was honored with the Nancie Greenman founder’s award for academic performance and professional promise. Amanda also was a graduate assistant teaching underclassman of the occupational therapy program, and was chosen to be the farewell speaker at her school’s commencement ceremony. Amanda loves to smile, and works on maintaining a calm way of living, and integrates calmness into her treatment sessions. In addition to better weather, Amanda moved to South Carolina due to the increased need of quality, affordable, accessible healthcare. Short-term, Amanda intends to help kids and families achieve their potential. Long-term, Amanda would like to make a substantial and lasting impression to improvement in care in the world. She would also like to give a special shout out to her cats; Gizmo, Rebel, Special Agent Jack Meowers, and Billy D. Whiskers. Annie Fagan is NBCOT certified Occupational Therapist and licensed by the state of South Carolina. She received her Bachelors of Science in Occupational Therapy from Quinnipiac University in 2003. Annie loves working with children and has been practicing in the field of pediatrics since graduation. 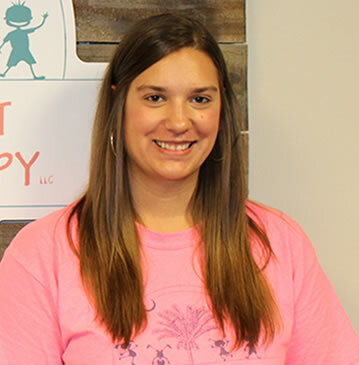 Annie has received post-graduate training in Handwriting without Tears, Reflex Integration, Sensory Processing Disorder and she also has extensive training and certification in Integrated Listening Systems (iLs) auditory program. Annie moved to Mount Pleasant in 2013 from Connecticut for a change of weather and lifestyle. She loves spending her time with her son, Liam. When not at work, she enjoys the beach, pool, gym and being with family and friends. Kaylee Tate is originally from Asheville, North Carolina. She received her Bachelor of Science in Psychology at Appalachian State University. During her time there, she became passionate about working alongside individuals with diverse abilities and their families, promoting inclusion in all aspects of life. From there, she went on to teach Special Education in eastern North Carolina, earning recognition for her advocacy for and dedication to her students. She decided she wanted to continue her work with children but through a different avenue, one that would allow her to build on children’s unique strengths and help them obtain skills necessary for active participation in their homes, schools, and communities. Occupational therapy was the perfect fit. 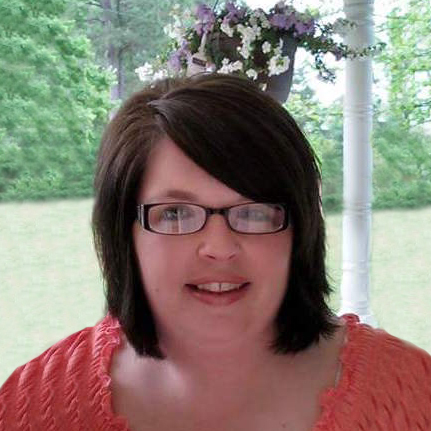 Kaylee attended Milligan College and received her Master of Science in Occupational Therapy. She is currently NBCOT certified and licensed in the state of South Carolina. 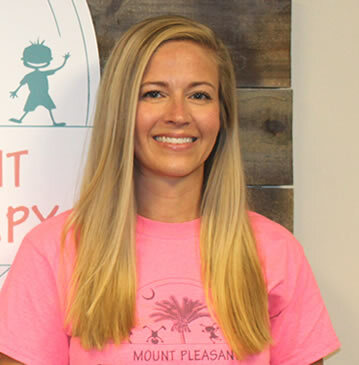 Kaylee left her beloved mountains for the South Carolina shore because she fell in love with how the staff at Mount Pleasant Pediatric Therapy provided care with both passion and compassion. In life and as an occupational therapist, Kaylee strives to do the same. Outside of work, Kaylee enjoys spending time with family (including the dogs), hanging out with friends, exploring outdoors, watching her favorite shows, and finding all of the great local spots. Dusty grew up in East Tennessee before moving to the Lowcountry for an internship during his Physical Therapy graduate program. He obtained a Bachelors of Science degree in Chemistry and a Doctorate of Physical Therapy degree from East Tennessee State University. Dusty began his career in orthopedics and felt a call to pediatrics while running an orthopedic clinic in Mount Pleasant. After having two children of his own (Luke and Levi) he made the switch to pediatrics full time. He is blessed to work alongside his wonderful wife, Kellye. 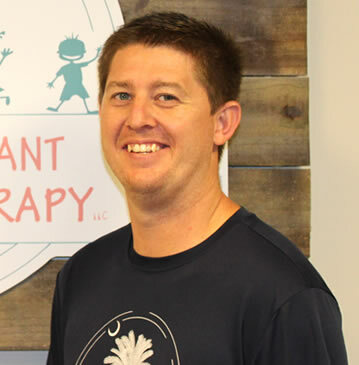 Dusty has a strong background in manual therapy techniques and therapeutic exercise instruction to improve the function and abilities of all our pediatric friends. He loves working in an interdisciplinary clinic where he can collaborate with Occupational and Speech therapists on a daily basis. Dusty has vast experience with treatment of torticollis, orthopedic conditions such as knee, hip, foot, ankle, shoulder and elbow pathologies, neurological conditions, developmental delay, as well as many other conditions. 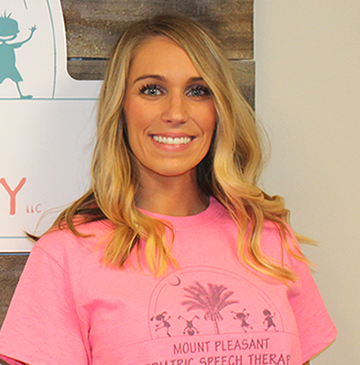 Renee Kirkland is the Billing Manager for Mount Pleasant Pediatric Speech Therapy, LLC. After pursuing a degree in Administration from Tri-County Technical College, she settled into a Career in Medical Billing. Renee ensures all claims are paid correctly and in a timely manner. Renee stays current with the ever changing Insurance Guidelines by enrolling in classes and attending various Insurance Workshops. Renee is married to Horace James or H.J. as he is sometimes called and they have a daughter, Rylee. When not at work, you will find the three of them involved in various Community Projects or other adventures. 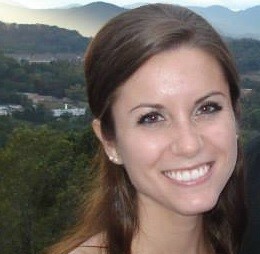 Paige moved to Charleston from Southern Kentucky to attend the Medical University of South Carolina. 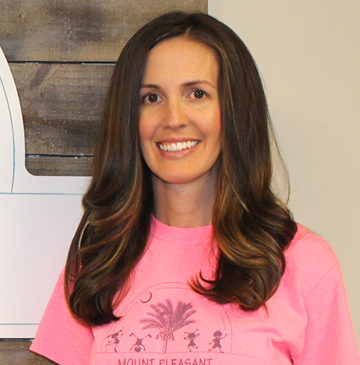 After receiving her master's degree in health administration, she worked in retirement community management and primary care management before joining the team at Mount Pleasant Pediatric Therapy. 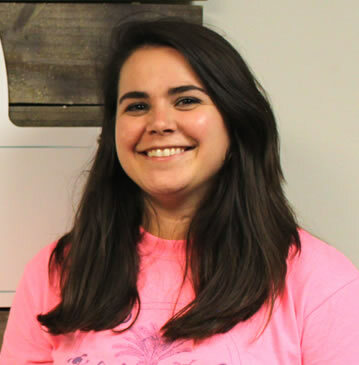 Paige enjoys traveling with her husband and daughter, and playing with her two dogs at her home on Johns Island. If you're looking for a pediatric speech-language pathologist's position, we are accepting applications. Applicants must be ASHA certified, have obtained their CCC/CFY, and licensed by the state of South Carolina. We’re in search for candidates who are ready to bring their expertise to our team and strive to provide the very best service to our clients.